European cities are glamorous, full of shimmer and shine, so why wouldn't you when you're in one? This is the perfect look to wear out and about in the streets of Europe or to channel your European style in the streets of your own city. Mixing patterns and textures are IN this season, so don't be afraid to be bold. Try to opt for silver, glitter/ shimmer and checked patterned pieces whether you're shopping for shoes, shorts, skirts, jackets, or blouses. On trend and city-appropriate, scroll below to see the 4 key items and shop similar and more! Stay tuned for more trending F/W '17 pieces right here on FirstandSeven.com. As usual, I'll be posting outfit ideas + fashion tips + recs over the weeks! (Just follow my FB & Instagram to stay up-to-date and get alerted for the new edits, eaasssyyy peeezzzyyy). 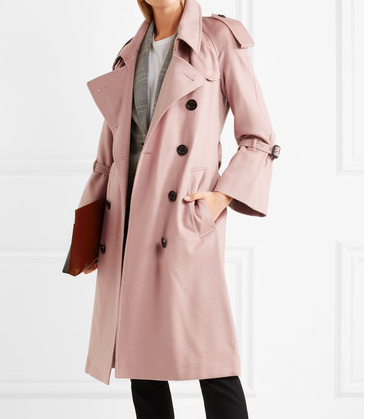 #1 Statement Trench Coat // I've been on this trench coat hype for the past few blogs, I know, but it's only because I am being frank with you and giving you fact by fact on which coats are really worth it. The one I am wearing is none other than the queen of trench coats, Burberry. This was one of their last year runway editions, and I've loved it since the day I saw it (see similar here). See here for the trending statement trench pieces from fast-fashion to luxury and haute couture brands. If you're looking for a nice piece to invest in, trench coats are definitely worth it. Runway-style trenches are a bit riskier, but if you're an avid collector of coats and love bold pieces, then it's well worth it. In my previous edit, I discussed the range of the classic 80s & 90s patterns such patchwork, plaid, houndstooth, gingham, and checked, and I am brining them back right here for you again because they are such an easy way to pair your outfits with -- shorts, denim, skirts, blouse, t-shirts. Really whatever you want to wear underneath, these trenches are going to do the job of keeping you fresh. #2 Glitter (imprinted) Sweater // A big trending piece now is the glitter effect. I put the emphasis on imprinted because none of us want the hassle of falling glitter pieces, so be sure to opt for something that has the glitter prints or effect. 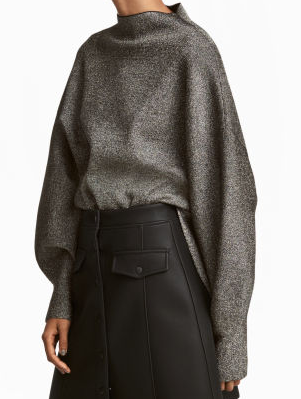 This has been one of my favorite sweater pieces for this season (see here). I love that I can pair this with colorful pants / printed shorts (as I opted here). You can find great glitter pieces at the fast-fashion shops (see below to shop). 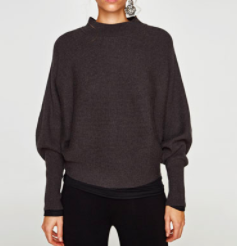 Click the image to shop this sweater! 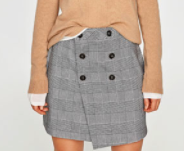 #3 Patterned bottoms // Shiny leather, floral decor on leather, pearls, and tweeds are on the decor list for this fall/autumn shorts, skirts, and skorts (my favorite). 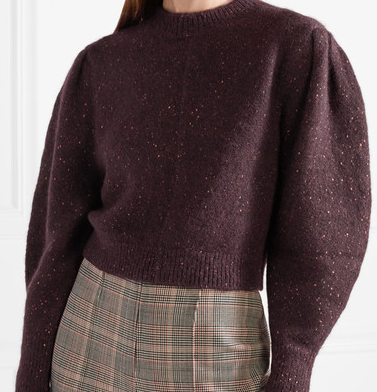 Of course, as for textile, houndstooth, checked, and gingham pieces are continuing to dominate the fashion scene around the world, and Europe is no exception. We're loving it here as well, and for this, it is so easy to find great patterned pieces at Mango, H&M, Zara and well pretty much all the fast-fashion shops! Due to the variety of style changes, I recommend shopping for pieces from fast-fashion as the prices are much easier on your wallet. Pair these patterned bottoms with plain t-shirt, glittery/ shiny sweaters (as I did), sheer shirts, leather jackets, or off-the-shoulder blouses. Here are some options for you. #4 BLACK BOOTIES // The ultimate understatement yet she presents the ultimate sophistication. Yes the black booties. The one love that never changes throughout the season. 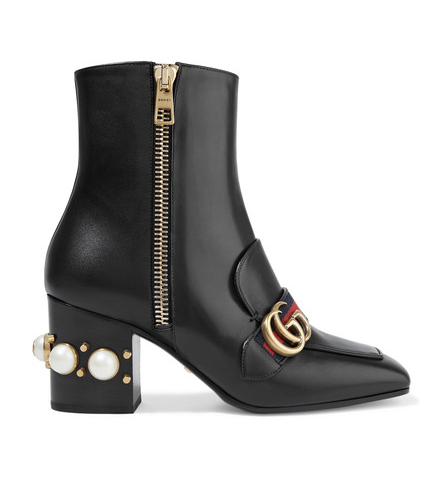 I've pretty much experimented with black booties across fast-fashion and high-fashion retail shops, and by that I mean, I've purchased my fair share of booties to know which ones are worth it in the long run and which are just in for the short ride of the season. Ladies and gents, these are my favorite booties. My daily wear has been this shop's booties / ankle boots. Not only are these comfortable but they are durable. 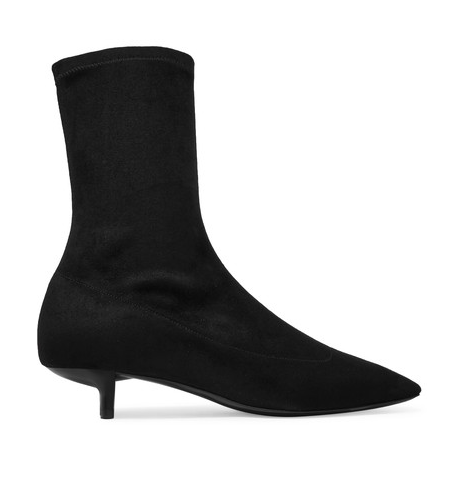 Now, these are not the H&M price points, but if you're really looking for beautiful and durable booties, these are your go-to. Just for some fun, I've also included beautiful runway-style booties here. See below and shop away! Click me & get the full details & shop this look!